Diwali time for Indian buyers, Apple has now officially confirmed that iPhone 5c and iPhone 5s will be available for Indians on November 1st, 2013 right in time for Diwali festival which begins on the very same day. Apple today announced that its latest offerings viz. iPhone 5s and iPhone 5c will be available in more than a dozen countries including India, on Friday, November 1. Apple also confirmed that both models will be rolled out in another 25 countries like Italy, Russia and Spain a week earlier on Friday, October 25. However Apple has so far not divulged the price we will have to pay for buying iPhone 5s and iPhone 5c. A sneak peek at iPhone 5s which has been hyped to infinite and is now being copied (gold colour) by HTC as well as Samsung. iPhone 5s will boast of a all-new A7 chip, which also makes the iPhone 5s the world’s first smartphone to come up 64-bit desktop-class architecture. Another of the innovations Apple has brought to the table with iPhone 5s is the Touch ID fingerprint sensor which lets users unlock their iPhones with just a touch on the home button. The device is available in 16GB, 32GB and 64GB internal memory variants and three colours Gold, Silver and Slate Grey. 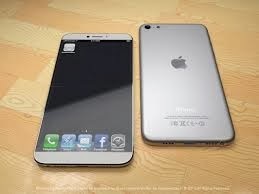 It will also have a improved 8MP iSight camera with a secondary True Tone flash. The new camera features burst mode, slow-motion video at 120fps as well as the enhanced Photo app from iOS 7. There's a new M7 motion co-processor which delivers better reflexive response. If you are interested in iPhone 5s, pre-order it from iBhejo where the 16GB iPhone 5s is available for Rs.55,370.00, 32GB is available for Rs.59,725.00 and the 64GB one is up for grabs for Rs.67,654.00. Do scroll down a little on iBhejo website till you get to the iPhones. The iPhone 5c has been billed as poor man's iPhone by Apple but coming in at Rs.43868.00 for 16GB version isnt actually budget class for Indians. iPhone 5c technically is much closer to its predecessor, the original iPhone 5. 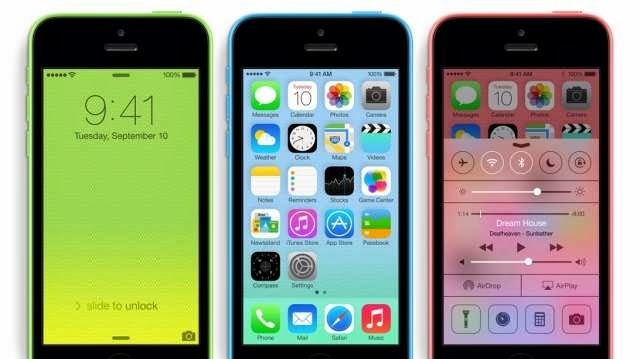 Only thing that is different with iPhone 5c is that it will come in a range of colours, including blue, green, pink, yellow and white. The specs sheet reveals a 4-inch Retina display and an A6 chip running the show. Also strapped to the package is an 8MP iSight camera. Interested, go on and pre-order your iPhone 5S or 5C now or do stop by on comboupdates for further updates.